Fire barrier doors are used for additional safety in case of building fires. 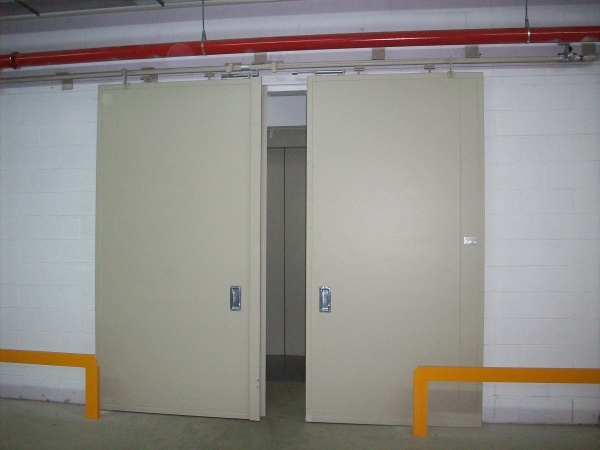 Fire barrier doors are installed into various conditions, for example in apartment buildings, warehouses, boiler plants, basement floors, shopping centres, etc. where it’s important to establish a barrier that stops possible fire from spreading. 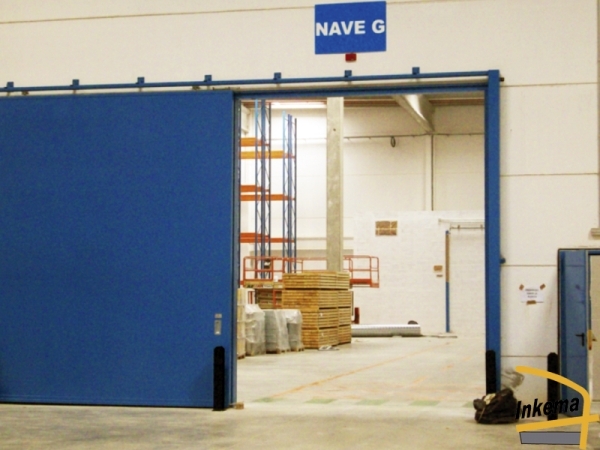 Fire barrier doors are tested and have relevant certificates. Doors are made of durable steel and blinds are made of special fabric consisting of glass fibre and steel threads. Door panels are made of galvanised steel. Fire barrier doors have a design that facilitates the quickest evacuation possible, therefore more attention has been given to the speed of opening and closing the door. These doors have smoke detectors and alarms. 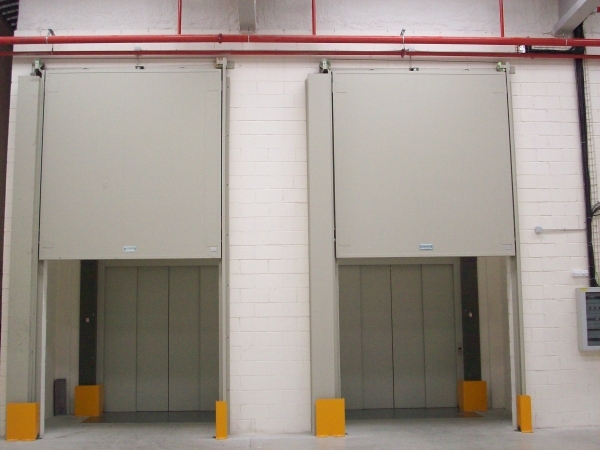 Top-level drives and control systems ensure simple and safe use of the doors even in case of fire or power outage. Metal doors have an EI 15, EI 30, EI 45, EI 60,EI90 and EI 120 fire safety certificates. Rollup doors comply with the EI 60 and EI 120 fire safety class requirements of . Sliding doors have an EI 30, EI 45, EI 60 and EI 120 certificate. Fire safety blinds have an E 120 certificate. The EI marking on the certificate marks the door’s fire resistance duration in minutes, i.e. EI 120 means that the door is guaranteed to be fire-safe for 120 minutes. Ask more about fire barrier doors. Submit an inquiry now!